Winter’s on the wane in Adelaide, despite a dogged run of achingly cold days. Still, the daily drive to work has been sweetened in recent weeks by roadsides lined with early blossoms, particularly those of Manchurian pear trees (Pyrus ussuriensis), which have something distinctly bridal about them. Early August was replete with opportunities to break the winter hibernation, including a night of readings from the Griffith Review’s South-Australian themed ‘State of Hope’ edition, at Matilda Bookshop, Stirling. The event, hosted by Patrick Allington, featured readings by Anna Goldsworthy, Jill Jones and Rebekah Clarkson, and an interview with photographer Annette Willis. It was a great complement to the session at Adelaide Writers Week this year, but in a more intimate setting. The following night, Jill Jones’ new book of poems, Brink (Five Islands Press, 2017), was launched at The Wheatsheaf Hotel. It’s an eagerly anticipated follow up to Jill’s highly regarded recent collections. An ill-timed, mid-month head-cold gave me the chance to catch up on a few recent books of poetry, including Brink, Lachlan Brown’s Lunar Inheritance (Giramondo, 2017) and Afloat in Light (UWAP, 2017) by Adelaide poet David Adès. Apart from that, the two pieces of writing that’ve stayed with me are essays by South Australian writers: Shannon Burns’ personal and incisive ‘In Defence of the Bad, White Working Class’, also discussed on ABC Radio National’s Religion and Ethics Report, and Kathryn Hummel’s in-turns-familiar-and-exotic ‘Scented Memento’, both published in Meanjin, and both having some grounding in Adelaide’s western suburbs. I shared a poetry reading with Peter Goldsworthy at the Halifax Café, Adelaide, on 30 August. The reading was well-attended and it was great to debut half-a-dozen or so new poems for a generous and attentive audience. The September reading will feature Ken Bolton and Cath Keneally. 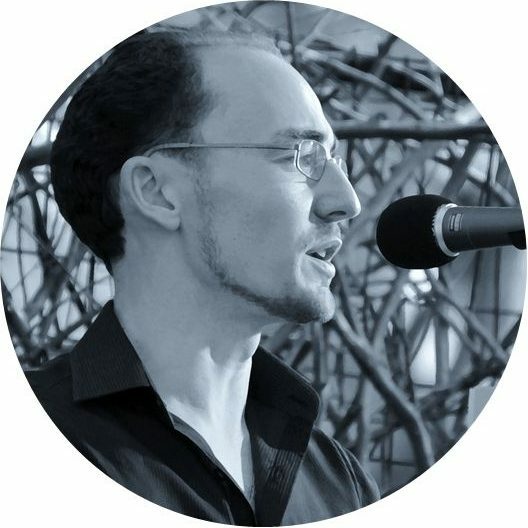 David Campbell’s review of Contemporary Australian Poetry (Puncher & Wattmann, 2017), published in The Australian, provided some food for thought – in particular, his complaint that the anthology omits (“airbrush[es]”) “[t]raditional rhyming verse, often misleadingly referred to as “bush poetry””. Robert Wood’s response (Overland) also provoked debate (witness the comments section), proving there’s still plenty of fervour to the arguments about poetry, good poetry and good Australian poetry. I’ve had plenty to say about the issue in private, but my summary point is that the anthology has its omissions (individual poets), but is an accessible, well-considered and well-produced book, and an excellent starting point for anyone wanting a survey of (as the title suggests) contemporary Australian poetry. For a fuller consideration of the anthology, see Robert’s review in Westerly. Another pause for thought was a program on ABC Radio National’s The Philosopher’s Zone, featuring Professor Barry Smith, philosopher and Director of the Institute of Philosophy at the University of London. The program (downloadable as a podcast) takes “the philosophy of wine” as its subject matter, but its thoughts on subjectivity and objectivity, personal preference, judgments of quality, developing critical competence, and experts are transferrable enough to an appreciation of poetry, and the arts more broadly. In terms of “forthcomings”, I’m looking forward to new books of poems by Michael Farrell and Fiona Wright, which will be released by Giramondo on 1 November. Finally, I’ve been on Twitter for a while, but you can now also find me on Facebook.